The Golden Knights had but one representative at Saturday’s NHL All-Star Game in San Jose. And while you may quibble over the Knights having just one player participate, no one can argue about the validity of the player who was selected. 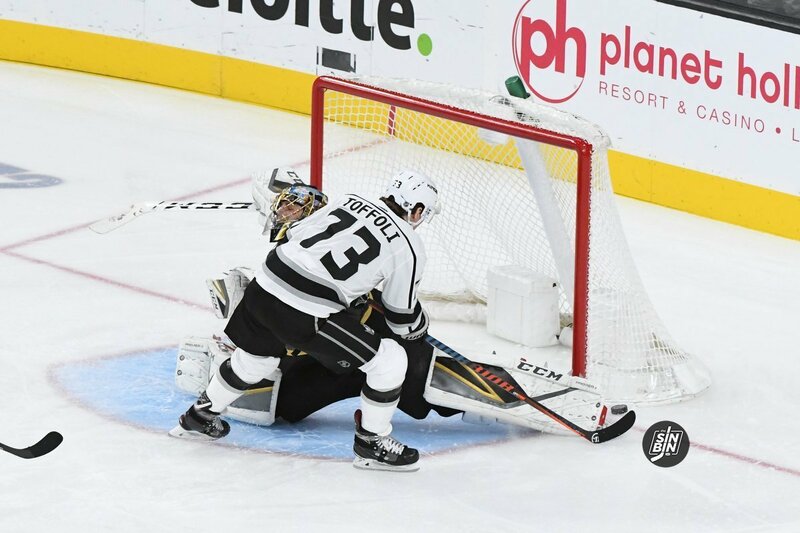 Marc-Andre Fleury belongs in the All-Star Game and this was his fourth appearance in the event. More important, Fleury is playing at a very high level. Some would argue his performance to date in 2018-19 ranks among his best since he came into the NHL back in 2003. He is 34 years old. He is feeling great. He leads the NHL with six shutouts. 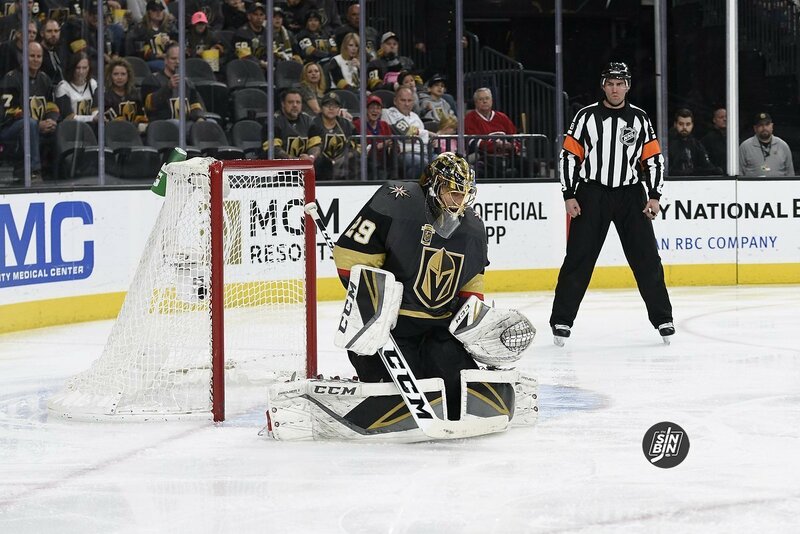 And while the Knights are going to make the playoffs, think of where they might be right now if not for Fleury being able to play the majority of the games? He has played in 45 of Vegas’ 52 games with a record of 27-14-4. Fleury has a 2.59 goals-against average, a .911 save percentage and the six shutouts. Yes, there should be some concern come the postseason as to his freshness. Assuming there are no mishaps, he’s looking at playing anywhere from 65 to 70 games in net during this season. But that’s a discussion for down the road. For now, let’s focus on where Fleury is at and where he is going as it pertains to his overall career. Today, Fleury has 431 wins in the NHL. That places him ninth on the all-time list for victories as a goaltender. He is six wins from tying Jacques Plante, who has 437. He may also catch Terry Sawchuk, who is No. 7 at 445, later this year. He has already passed Dominik Hasek, Grant Fuhr, Glenn Hall and Tony Esposito in making his way into the top 10. He is one of three active goaltenders on the Top-10 list — Florida’s Roberto Luongo is fourth with 481 wins and Henrik Lundqvist of the Rangers is sixth at 446. Fleury has played against some of these guys. Others he had watched play as a kid growing up in Sorel, Quebec. A couple he had to go to YouTube and Wikipedia to check out. But I thought it would be interesting to get his views on some of the goalies he has passed and some he continues to chase on the list. I did not ask about Luongo and Lundqvist since they are still active and Fleury has talked about them in the past. Let’s start at the top and work our way down. Martin Brodeur played from 1991-2005 with the New Jersey Devils. He has three Stanley Cup rings. In 17 NHL seasons, he had a 2.01 goals-against average. Patrick Roy played from 1984-2003 with the Montreal Canadiens and later, the Colorado Avalanche. He has four Stanley Cup titles and had 66 shutouts. Ed Belfour played from 1988 to 2007. He spent eight years with the Chicago Blackhawks and five with the Dallas Stars. His one Stanley Cup title came with Dallas in 1999. He also played for San Jose, Toronto and Florida. Curtis Joseph played from 1989-2009. He spent his career with six different NHL teams, beginning in St. Louis, then with Edmonton, and Toronto. He also had a brief stop in Las Vegas playing with the Thunder in 1995-96 where he appeared in 15 games. Terry Sawchuk played from 1949-1970, mostly with Detroit and Toronto but he also played for Boston, the New York Rangers and Los Angeles. He has four Stanley Cup rings, three with Red Wings, the other with the Maple Leafs. He was part of Toronto’s last Cup winning team back in 1967 and was the goalie for the Kings’ inaugural season in 1968. Jacques Plante played from 1952-1973 with the Montreal Canadiens, and New York Rangers before retiring briefly in 1965. While with the Habs, he won six Stanley Cups, including five straight during the Canadiens’ dynasty from 1955-60. He returned to the NHL in 1968 with the St. Louis Blues and finished his career with the Toronto Maple Leafs. In 1959, he devised a facemask after being hit with a puck and is credited with being the father of the modern mask. Glenn Hall played from 1952-1971, mostly with the Chicago Blackhawks. He also played at the beginning of his career with the Detroit Red Wings and at the end of his NHL tenure for the expansion St. Louis Blues. He won the Stanley Cup with the Blackhawks in 1961 and led the Blues to three appearances in the Stanley Cup Finals. He was a seven-time All-Star and a three-three-time winner of the Vezina Trophy. He is No. 11 on the all-time list with 407 wins. Grant Fuhr played from 1981-2000, mostly with the Edmonton Oilers and was in net during the Oilers’ dynasty run from 1984 to 1988 which saw the win four Stanley Cups in a five-year span. He also played for Buffalo, Los Angeles, Toronto, St. Louis and Calgary. He is No. 12 on the all-time list with 403 wins. Dominik Hasek played from 1990-2008. He came over from the Czech Republic to play for Chicago, then Buffalo and later, Detroit with a one-year stop in Ottawa before returning to the Red Wings. Hasek didn’t begin his NHL career until he was 26 but he has two Stanley Cup rings with Detroit (2002 and 2008). He is No. 14 on the all-time wins list with 389. There was one other goalie we discussed. He’s not on any list because he never played in the NHL. But he is a Hall of Famer. Vladislav Tretiak is one of the greatest goalies in hockey history. He played in four Olympics for the Soviet Union (1972, 1976, 1980 and 1984) and played from 1971-1984. He was drafted by the Montreal Canadiens in 1986, but never played in the NHL because his country wouldn’t allow him to leave. For Fleury, his journey continues. 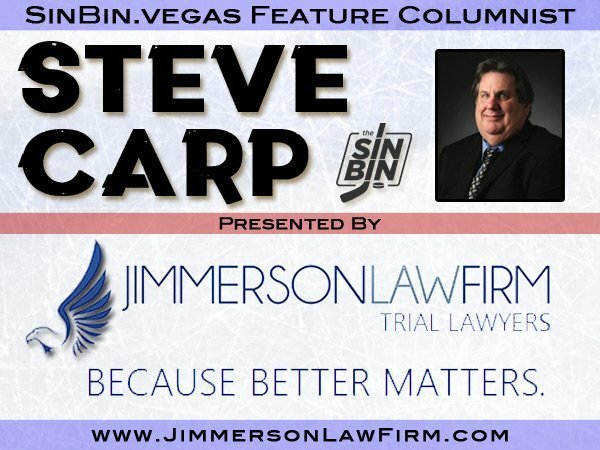 He is under contract to the Golden Knights through the 2022 season. He’ll be 37 at that point. Where will he finish on the NHL’s Top-10 list for wins? Of the current Top-10, six are in the Hall of Fame. Lundqvist figures to get in after he retires. Luongo likely gets in as well after he hangs up the pads. Joseph is the only retired player on the top-10 list to have not gotten the call yet and there has been a strong push for Cujo to be inducted. Fleury’s body of work suggests he will one day be enshrined. His three Cups. His win total. His play in Vegas so far are all contributing factors to what is an impressive resume. He’s still working and having fun doing it. And he doesn’t even puke before he steps onto the ice. Glenn Hall would be envious. Very nice piece on Fleury. He is always a class and upbeat guy. Thank you for the writing the article. He has always been my favorite Penguin and now Golden Knight. Mad that he was screwed by t he Pens for what I consider an average goalie. If it weren’t for him the back to back cups would not have happened. Just so proud he is doing well and enjoys playing for a real good Vegas team.